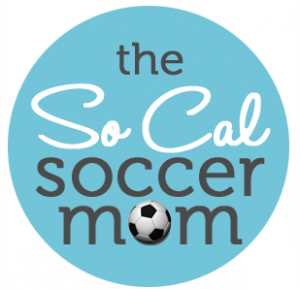 As the name suggests, The So Cal Soccer Mom is a soccer blog written by a Southern California mother with two young daughters playing on competitive club soccer teams. On the blog, soccer mom Lisa provides information and advice for other mothers whose kids may be new to the competitive club soccer environment or just new to the sport of soccer in general. She describes her blog as one that has “serious soccer posts sprinkled in with soccer mom fashion, tips, reviews, and more.” Lisa writes all of her own posts and her intended target audience is the “the real soccer mom,” who she describes as a mother completely committed to her children’s soccer lifestyle. Now with over 200 posts, the blog provides a unique angle on the competitive youth soccer lifestyle in the United States, taking on the sport from the mother’s perspective. Readers of this blog will find another set of posts to be particularly helpful – Soccer Mom Essentials and Soccer Girl Essentials. Some of the Soccer Mom Essentials are not surprising, such as game-day items like a portable chair or a rolling cooler for snacks and drinks. But some of the more interesting items on the list include “good friends and carpool buddies” and “hotel rewards programs.” From this post it is clear that there is so much more to competitive youth soccer than just the soccer itself. As a mother, Lisa has made her own set of “soccer friends,” and she makes it clear that they all support each other, aside from the actual soccer played on the field. She emphasizes the fact that soccer parents spend so much time watching their kids at practices/games that it is important for parents to build their own relationships. Furthermore, Lisa’s reference to the importance of “hotel rewards programs” makes it obvious that parents and kids both travel extensively for various tournaments and games. This “soccer mom essential” stresses the role that money plays into the success of American soccer players and the extensive commitment that the sport demands of young children and their families. On the flip side, Soccer Girl Essentials lists the gear and equipment required for playing soccer. Lisa’s blog post includes obvious items such as cleats, socks, shin guards, and a water bottle, but she also includes unexpected items like Under Armor insulating clothing and pre-wrap. The most interesting thing to note from this blog post is that clearly all of this gear can cost a large amount of money, and Lisa comments on the fact that replenishing all of this equipment is quite expensive. The high cost of playing soccer is again emphasized in this post and this may explain why this sport is more popular for American middle and upper class families. Other posts on the blog are more specific to the club soccer scene in Southern California. One section of the blog, Tournament Tell All, highlights different tournaments in Southern California and the associated cost, location, strength of competition, field quality, and various other factors. The information in this section shows the years of knowledge that Lisa has acquired as a soccer mom, as well as all of the thought and planning that goes into club soccer. For other soccer moms living in this area, this blog is an invaluable resource for the inside scoop on club soccer tournaments and the competitive landscape in Southern California. There are many other interesting and valuable posts outlining information about seemingly everything there is to know about youth soccer. Other posts cover topics such as navigating club soccer tryouts, switching soccer teams, what to bring to a tournament, concussion prevention, and gear reviews. For anyone that stumbles across the blog, hours can easily go by. I personally thought the content was very interesting for a few reasons. Firstly, it is clear that Lisa has spent an enormous amount of time, energy, thought, and money on this sport for her two daughters. Although I’m sure other sports demand a similar level of commitment and expense, this blog highlighted the fact that in order to become an elite soccer player, not only do the players themselves have to be committed (from a young age), but the parents must also be devoted and supportive. Secondly, most of the kids I knew growing up (including me and my sister) all played soccer yet ultimately quit the sport for other athletic, academic, or musical interests. In fact, Lisa has actually written numerous posts about her daughters’ decisions to continue playing soccer during a time when a few of their friends have chosen to quit. Although soccer isn’t one of the big four sports in American culture (football, baseball, basketball, or ice hockey), it’s intriguing that soccer seems to be one of the quintessential sports that defines the modern American childhood – so much so that the “soccer mom” is now a widely used political term. Finally, in regards to the style of the blog, Lisa includes many pictures of her daughters and provides a large look into her family’s life. It was immediately clear to me that this blog is about more than just soccer. I felt as though I was reading about a specific American lifestyle and the personal images and stories really made it captivating to read. Overall, this blog provides an interesting look at grassroots, youth soccer in the United States and the lifestyle that it demands of children and parents.